The past week played out much as expected, down 2 days then up 2 days and down Friday. Friday pullback was not predicted. 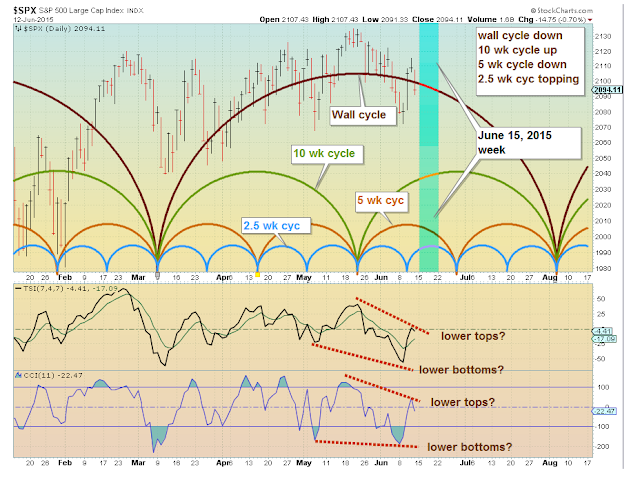 In the coming week we have the Wall cycle down, the 5 week cycle down, the 10 week cycle up and the 2.5 week topping. 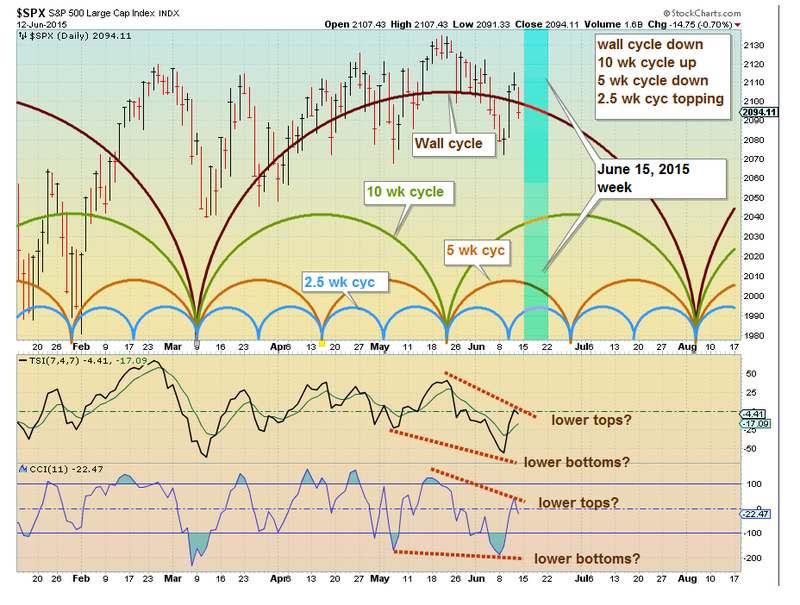 I anticipate the alignment of these cycles will result in a down week with a slight upside bias possible early in the week (Monday and Tuesday).